BAE Systems ADAPTIV Hexagonal Pixelated Thermal/IR (Infared)/Multispectral Adaptive Camouflage/Invisibility Cloaking System/Vehicle Armor System for Infantry Ground Vehicles (Armored Vehicles, APCs and Main Battle Tanks), Aircraft (Helicopters and Fixe-Wing), Ships and Structures/Buildings: Active Camouflage for Vehicles Gets Real | DefenseReview.com (DR): An online tactical technology and military defense technology magazine with particular focus on the latest and greatest tactical firearms news (tactical gun news), tactical gear news and tactical shooting news. Speaking of BAE Systems, they're currently developing a thermal/IR (infrared) adaptive camouflage/"invisibility cloak" technology/sytem called ADAPTIV. Catchy. Adaptiv is comprised of sheets of hexagonal "pixels"/panels that "can change temperature very rapidly". ADAPTIV (as in "adaptive camouflage") would appear to work in a similar fashion as ELTICS Black Fox active/adaptive thermal/IR camo tech, which DefenseReview (DR) reported on back in April (2011). Like Black Fox, the Adaptiv thermal/IR adaptive camo system uses on-board cameras to capture the background and surrounding scenery and display the corresponding thermal/IR image on on the vehicle's Adaptiv pixelated/paneled skin. The Adaptiv hexagonal pixel/panel matrix can also mimic another vehicle's thermal/IR signature for the purpose of misdirection and subterfuge, as well as display identification tags to reduce the chance of fratricide (friendly fire casualties). According to a BAE Systems press release on the ADAPTIV tech, entertainingly titled BAE Systems Conjures Up Invisibility Cloak, thermal/IR signature camo and mimicry, while the primary goal, isn't the company's only goal. "BAE Systems engineers have combined the pixels with other technologies, which provide camouflage in other parts of the electro-magnetic spectrum at the same time to provide all-round stealth, which will be developed further over the next few years." In other words, BAE's shooting for invisibility in the visible light spectrum, or visual stealth, as well. And, if Adaptive can work in the thermal/IR AND visible light spectrums, one must assume it will also be able to handle the near-IR, or night vision (NV), spectrum, which means it will be a true multispectral adaptive camouflage/invisibility cloaking system. "Earlier attempts at similar cloaking devices have hit problems because of cost, excessive power requirements or because they were insufficiently robust. 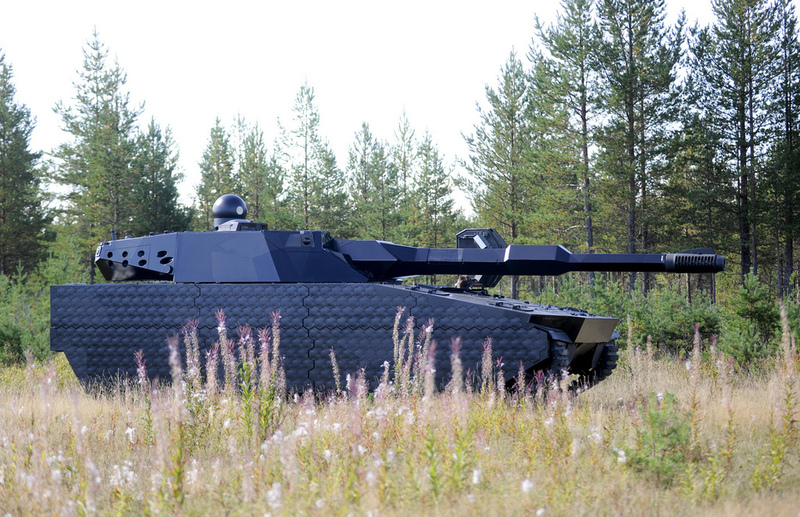 Our panels can be made so strong that they provide useful armour protection (armor protection, for us Americans) and consume relatively low levels of electricity, especially when the vehicle is at rest in 'stealth recce' mode and generator output is low," says Adaptive project manager Peder Sjölund explains. He adds: "We can resize the pixels to achieve stealth for different ranges. A warship or building, for instance, might not need close-up stealth, so could be fitted with larger panels." In other words, BAE Adaptiv thermal/IR/multi-spectral adaptive camouflage is situationally adaptive. That's a lot of adaptivity they've got going there. 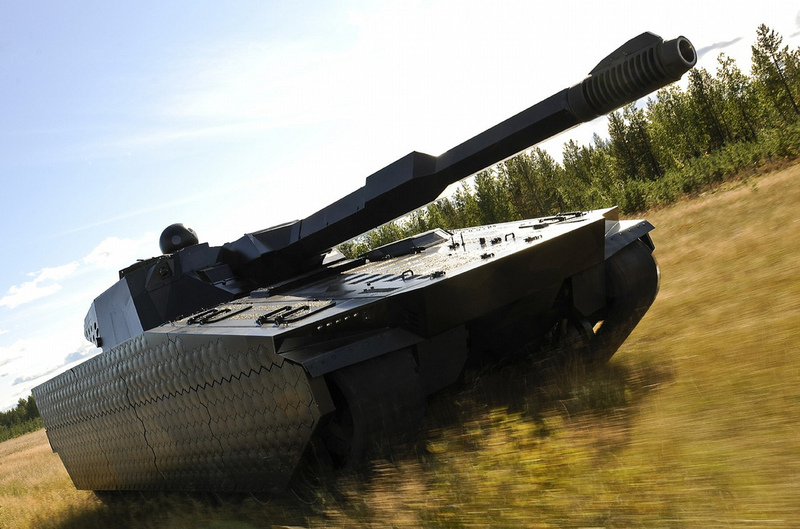 In mid-July, the BAE Adaptiv thermal/IR adaptive camo/invisibility cloaking tech development team demonstrated the technology on a CV90 armored vehicle, effectively rendering it invisible, as well as making it look like other vehicle types, including a 4×4 vehicle, when viewed in the infrared spectrum. 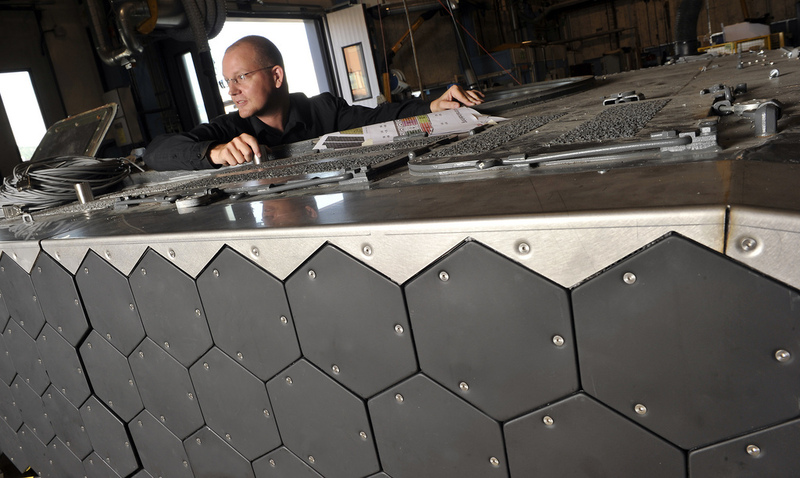 Adaptive panels can also reportedly be applied to helicopters, ships, and fixed installations.